Corrugated plastic sheeting like IntePro Fluted 4mm Polypropylene Board is more durable than corrugated fiberboard, but lighter in weight than wood and solid PVC sheets and can be printed with flatbed digital printers. Choose from Yellow or Whiteand sizes from 18” to 24”. Make sure to check out our Clearance Zone for rotating specials from Nazdar SourceOne. 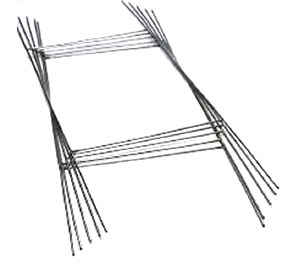 Parker Davis SS1 2-Wire StepStake - 10" x 30"